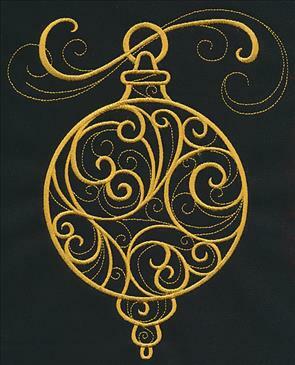 Bring an elegant look to your Christmas gifts and decor with delicate, ornamental filigree! 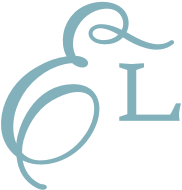 Filigree is known by its graceful swirling and twirling lines, as well as its intricate and ornate details. 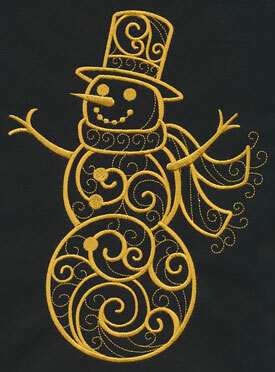 The new designs shown below feature this exquisite art, and are ready to add holiday magic to your projects. 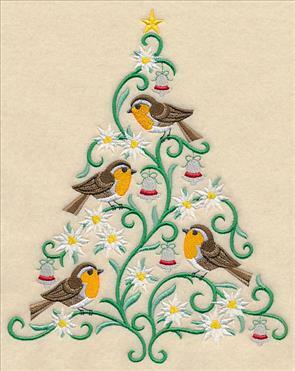 Christmas trees bloom with birds and flowers. 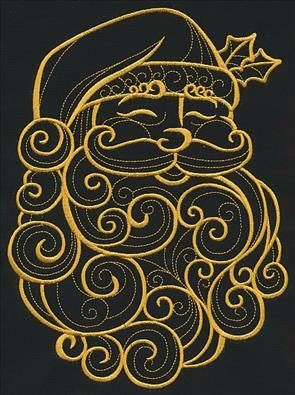 New goldwork designs feature classic icons, such as Santa, reindeer, bells, and more. Baroque flourishes bring a majestic look to the North Pole crew. 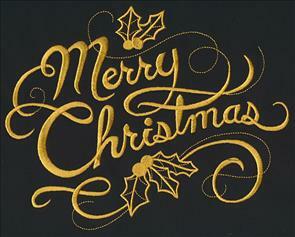 Sweet seasonal sayings are sure to spread Christmas cheer. 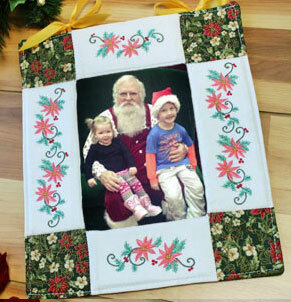 how to make a quilted photo frame! 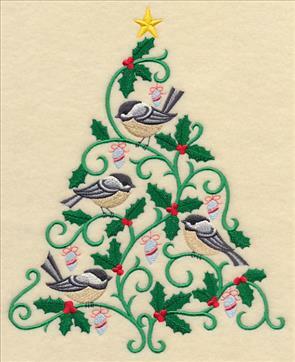 Chirping winter birds, festive ornaments, and gorgeous blooming flowers give each of these filigree Christmas trees a sweet and charming appeal. 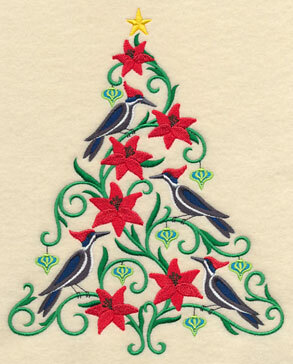 Here cardinals and poinsettias make a lovely pair; chickadees and holly adorn a second filigree tree. 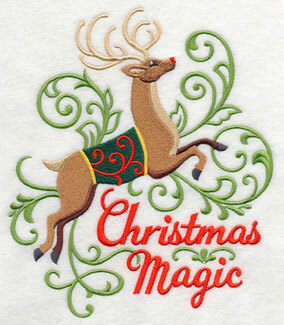 6.90" x 8.54" and 5.90" x 7.32" and 4.86" x 6.01"
Each of the beautiful Christmas trees are made up of filigree swirls and topped with a bright, shining star. 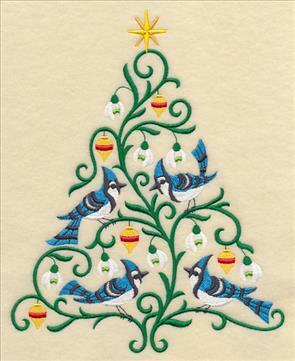 Blue jays and snow drops are a gorgeous combination, while European robins and edelweiss sit amongst bells on their holiday tree. 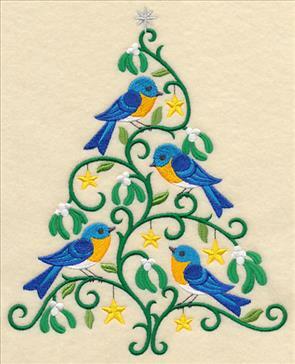 6.90" x 8.60" and 5.90" x 7.35" and 4.87" x 6.06"
Stitch these O Christmas Tweets -- like the bluebirds and mistletoe, or woodpeckers and scarlet lilies pairings below -- as lovely additions to tree skirts, pillows, wall hangings, and other holiday projects. 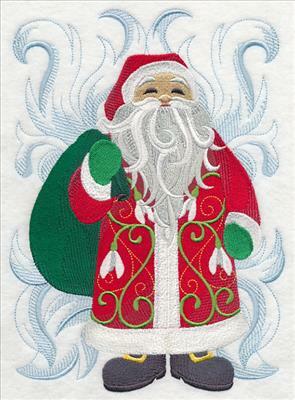 They're sure to add a very merry look to your embroidery. 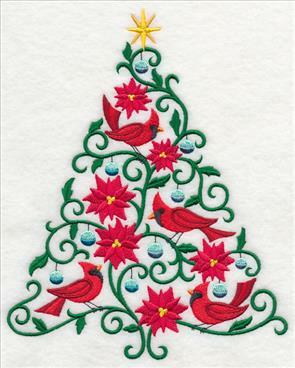 6.90" x 8.52" and 5.90" x 7.29" and 4.88" x 6.02"
Bring these beautiful Christmas trees to stockings, table linens, tea towels, and more. Order the designs singly by using the links above, or buy them all in a pack. Get all six Christmas trees full of oh-so-sweet tweets in a design pack. Baroque flourishes stitched in frosty, wintry blue highlight the landscape of the North Pole. The bright, bold red and green details in their ornamental outfits contrast beautifully with the light and airy baroque detailing. 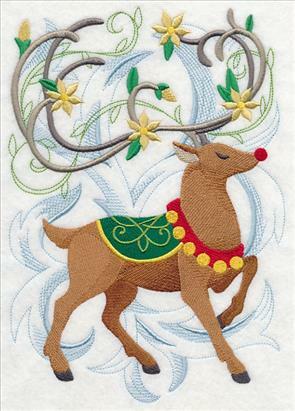 6.84" x 9.18" and 5.61" x 7.54" and 4.82" x 6.48"
A design featuring Rudolph amongst the same wintery blue flourishes is a delightful addition to the designs above. Stitch the trio as a delicate and eye-catching focal point on quilts, wall hangings, and pillow sets, or pick your favorite to stitch alone. 6.88" x 9.75" and 5.50" x 7.80" and 4.85" x 6.87"
Classic holiday quotes and sayings get a chic, sophisticated appeal with filigree swirls and elegant accents. 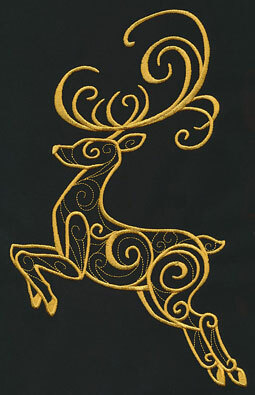 Each of these added embellishments, like the Rudolph and Santa hat below, reflects the intricate filigree that details these designs. 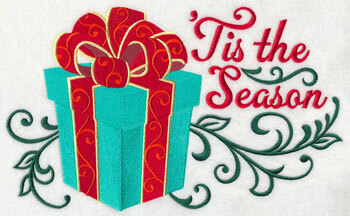 7.82" x 6.55" and 7.01" x 5.87" and 5.80" x 4.86"
These chic and colorful Christmas designs are brilliant additions to mini-quilts, towels, sweatshirts, and more. 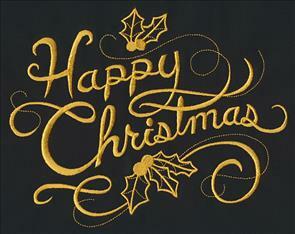 Stitch them to spread holiday cheer throughout your home this Christmas season. 11.09" x 6.85" and 9.42" x 5.82" and 7.82" x 4.83" and 6.87" x 4.24"
Beautiful Christmas flowers are accented by swirling filigree and leaves in this holiday design. The bold, beautiful flowers in the foreground combined with the open leaves and filigree lines in the background give this floral spray a stunning appeal. 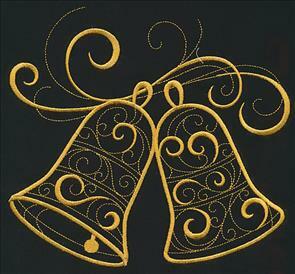 11.75" x 4.88" and 9.41" x 3.91" and 7.81" x 3.24" and 6.85" x 2.85"
Gorgeous antique ornaments hang from a filigree branch in this holiday spray design. 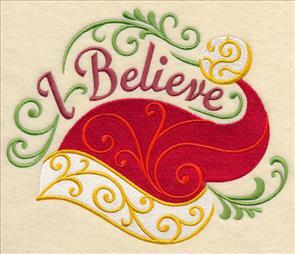 Stitch it on pillows, tablecloths, placemats, and more! 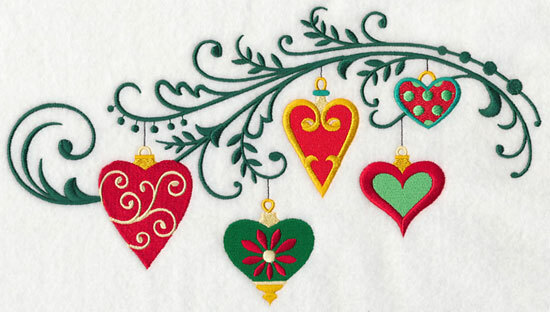 11.69" x 6.32" and 9.40" x 5.08" and 7.79" x 4.21" and 6.88" x 3.72"
This design featuring hearts hanging on holiday greenery is a stunning alternative to the filigree ornament spray above. 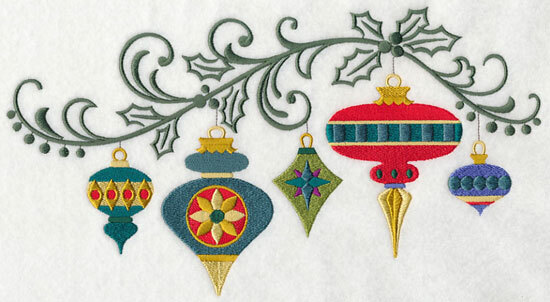 Each of the ornaments are stitched in holiday colors and feature beautiful details -- stitch it on your next Christmas project! 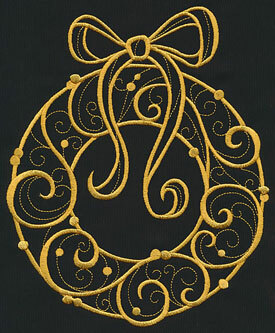 11.70" x 6.58" and 9.36" x 5.26" and 7.81" x 4.39" and 6.87" x 3.86"
Add an exquisite, elegant look to your holiday stitching with these goldwork designs. Each of the holiday motifs features gorgeous filigree details stitched in gold thread, lending an expensive, graceful appeal to any project. 6.85" x 9.29" and 5.78" x 7.83"
5.34" x 7.24" and 4.86" x 6.58"
6.85" x 11.03" and 5.83" x 9.38"
4.86" x 7.82" and 4.27" x 6.87"
This collection of holiday goldwork designs is the perfect way to adorn a quilt, a series of stockings, a tree skirt, or a set of table linens. 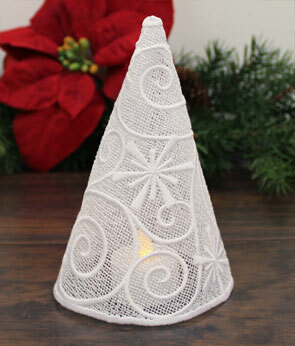 The delicate look and ornate filigree detailing will bring beauty and grace to your holiday projects. 6.85" x 10.94" and 5.85" x 9.34"
4.90" x 7.81" and 4.30" x 6.86"
6.89" x 8.64" and 6.22" x 7.81"
5.82" x 7.31" and 4.85" x 6.09"
Bring a glamorous look to your holiday wear by stitching these rich, ornamental designs on apparel, such as sweatshirts, jackets, scarves, and more. They're a stylish way to get your closet ready for Christmas. 6.85" x 8.39" and 6.38" x 7.82"
5.87" x 7.19" and 4.87" x 5.96"
7.75" x 6.91" and 7.04" x 6.28"
6.40" x 5.71" and 5.45" x 4.86"
The gold thread used in these designs adds a bright and shimmering look to your embroidery. 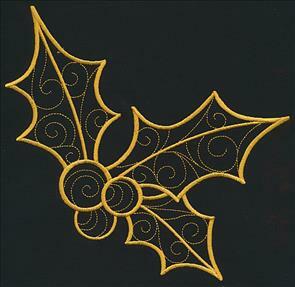 Add even more glint and glimmer by using metallic gold thread instead of the satin thread shown here. For tips and tricks on metallic thread, click here for step-by-step instructions or here to watch our video on stitching with metallic thread. 7.80" x 7.41" and 7.26" x 6.89"
6.18" x 5.87" and 5.13" x 4.87"
7.81" x 7.08" and 7.03" x 6.37"
6.33" x 5.74" and 5.34" x 4.84"
Add a "Merry Christmas" (or "Happy Christmas") to your project to share the spirit of the season. Filigree swirls and holly and berries make these magnificent designs a chic addition to pillows, table linens, and other home decor projects. 8.64" x 6.85" and 7.81" x 6.19"
7.32" x 5.80" and 6.13" x 4.86"
8.64" x 6.85" and 7.82" x 6.20"
Finish off this collection of holiday goldwork with a gorgeous snowman design. 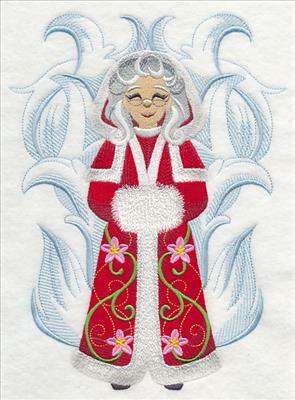 The filigree details reflects the look of the swirling wind and snow found in the wintertime. 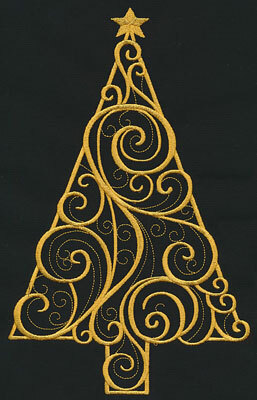 6.90" x 9.41" and 5.85" x 7.98" and 5.29" x 7.21" and 4.85" x 6.62" and 2.83" x 3.87"
Add an exquisite look to your holiday embroidery with these striking filigree goldwork designs. 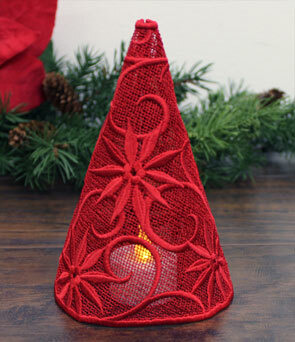 Christmas spirits glow bright with these lace tree cones over a tea light. 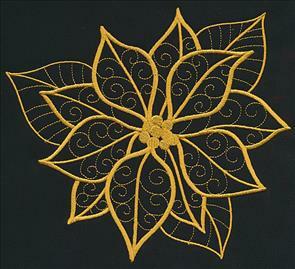 These designs are freestanding lace; embroider onto water-soluble stabilizer, then soak the stabilizer away. Full project instructions are right here. 10.92" x 6.62" and 9.39" x 5.70"
10.89" x 6.62" and 9.40" x 5.72"
7.83" x 4.76" and 6.90" x 4.20"
Each design features gorgeous filigree details and an extra accent -- poinsettias, holly and berries, or snowflakes. With three different variations -- and five sizes each! 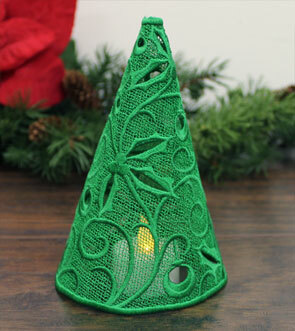 -- you can create a whole forest of lace Christmas trees for your home. 10.93" x 6.63" and 9.40" x 5.71" and 7.79" x 4.73" and 6.89" x 4.19"
Santa is ready to hit the slopes on his snowboard in this fun and festive design. 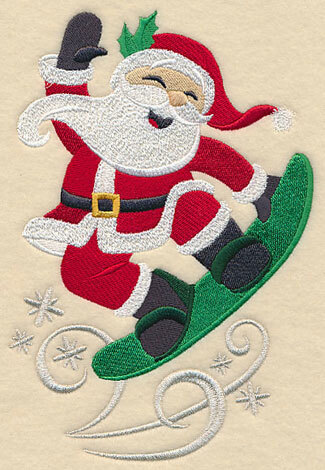 Janet liked the surfing Santa design, as well as the snowboarding snowman and reindeer, and was hoping we could create a snowboarding Santa, too. Thanks for the request, Janet! 5.36" x 7.80" and 4.72" x 6.86" and 2.67" x 3.88"